I’m so excited to share this year’s holiday gift guide because it has some of my favourite things from the past year that I’ve had the chance to experience and love! Not only will I cover why I love each of these items, but I’m also doing a huge giveaway at the end of this post! 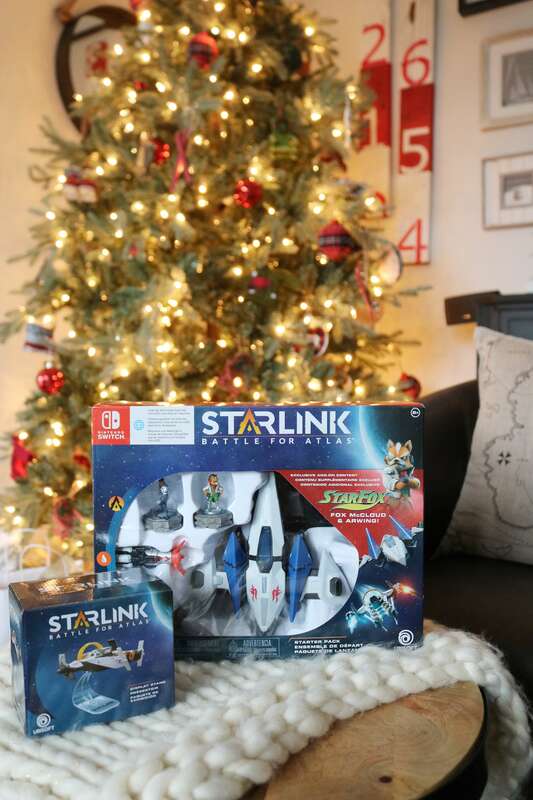 Here we go – my Holiday Gift Guide of 2018! 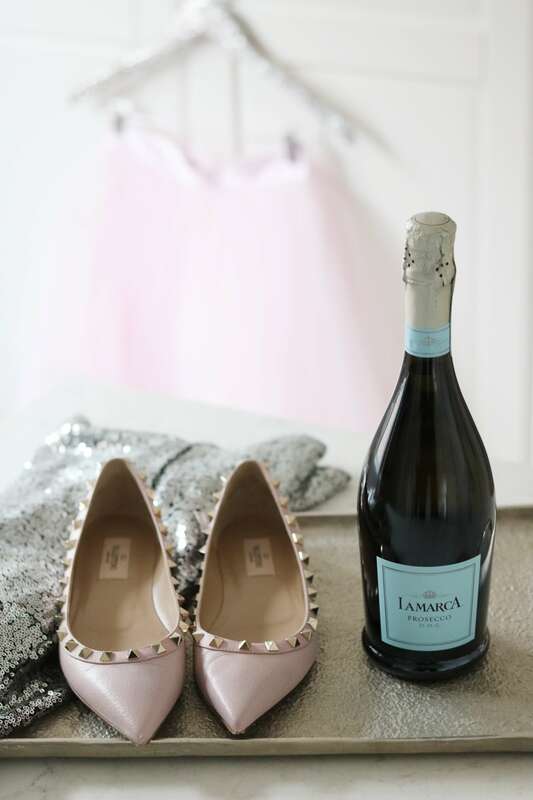 La Marca Prosecco is my favourite thing to serve my guests when they come over. The best thing about it is that so many of my girlfriends have come to love it as well! It’s hands-down my favourite drink, and anyone I’ve served it to loves it as much as I do. The price point is so affordable, and it’s such a beautiful gift to give a friend or as a hostess gift when you are heading out for the holidays! My Instax® SQUARE SQ6 has been so much fun to use this year! 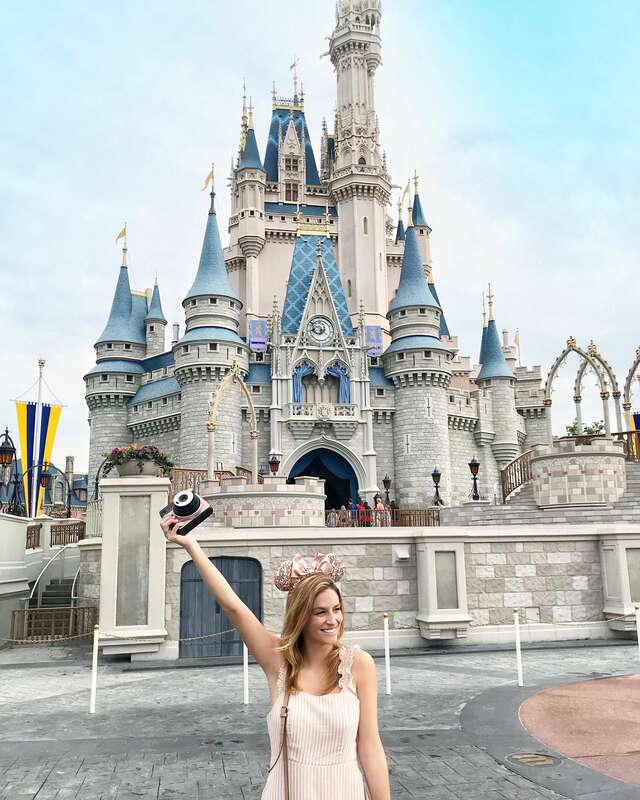 It went with my to Disney and the Bahamas, and I had so much fun taking photos on the go and sharing them with friends. It comes with three strobe colour filters, and lot’s of different modes to take creative photos. I love that there is a selfie mirror so you can easily take photos with friends! The photos print in a square shape so you don’t need to worry about taking a shot in portrait or landscape mode. 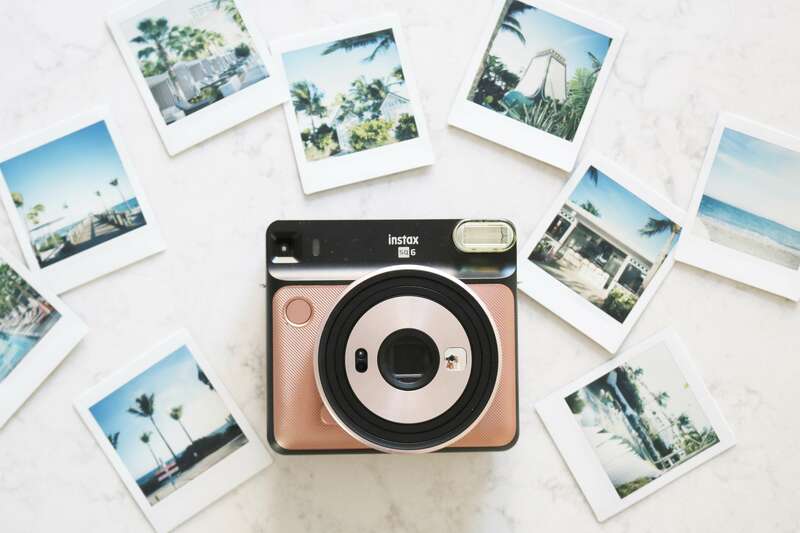 Plus, how cute is this camera in rose gold? 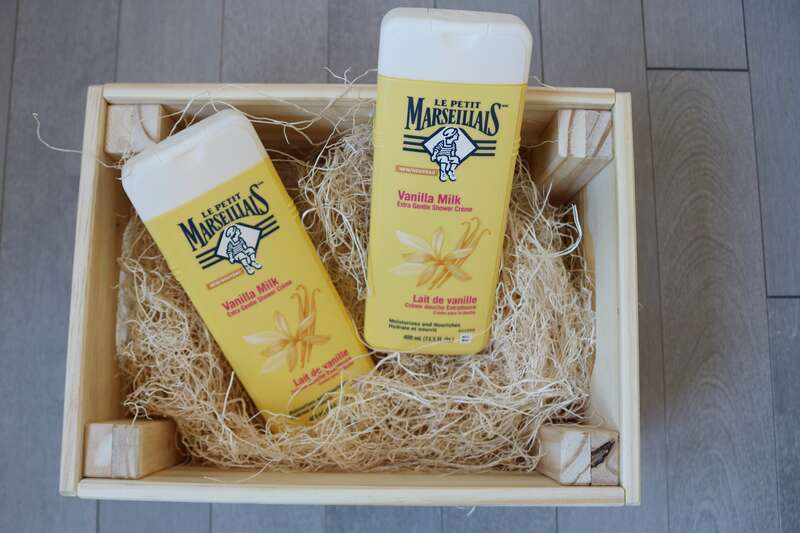 Anything scented vanilla quickly becomes one of my favourites, so I was excited when Le Petit Marseillais®’s newest Extra Gentle Shower Creme Body wash came in Vanilla Milk! Let’s face it – all of their body washes tend to smell amazing (I have tried them all) but this one is my favourite of the bunch! The Put Me to Bed Bath Kit from Hard Candy no only smells amazing, but it comes with some cute extra’s like a sleep mask and socks! 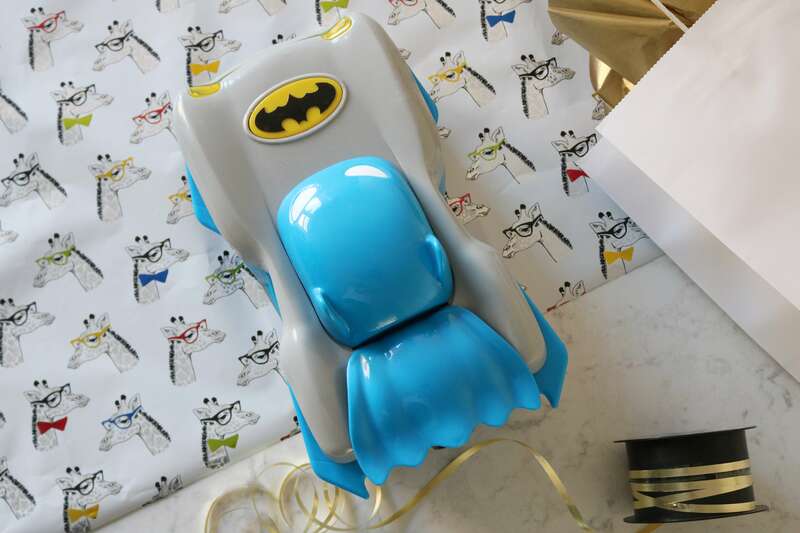 It’s the perfect little gift all ready to go – wrapping no necessarily required! 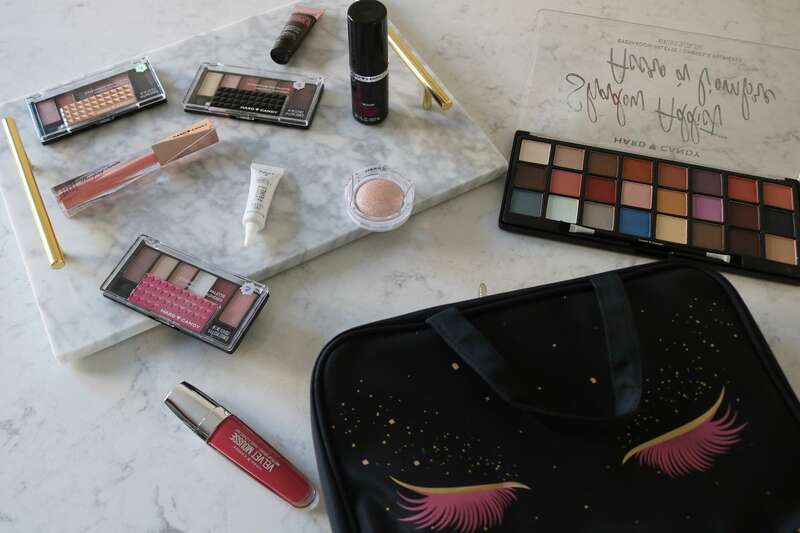 The Hard Candy My Bag of Tricks Travel Cosmetic Bag Gift Set includes a 24 well eyeshadow compact, mini baked bronzer, mini baked highlighter, mini eye primer, full size matte lip colour, full size volumizing lip gloss, mini makeup setting spray, mini skin perfecting primer, and an adorable travel cosmetic case. Everything you need to get holiday party ready! 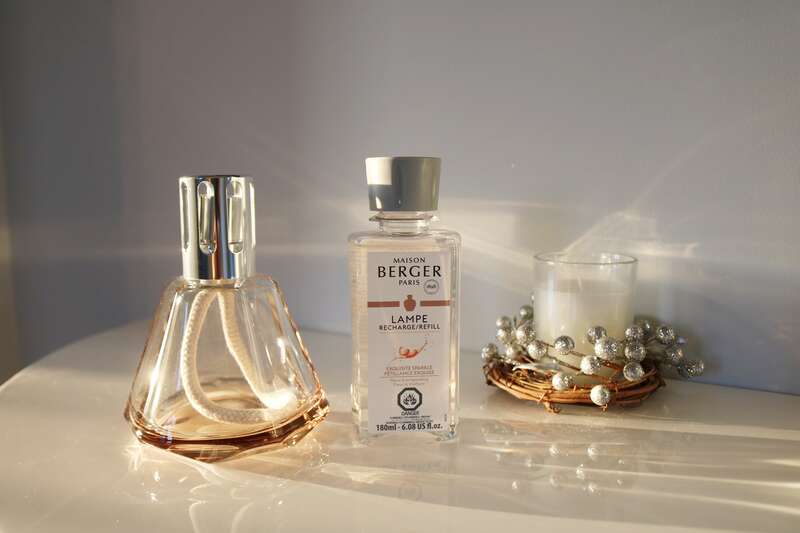 Lampe Berger Paris is a staple in our home. I love the safe way these scents can be diffused with the wick being safely tucked away, and the the Bouquet’s and fragrance sticks are just as pretty as the gorgeous Lampe’s! 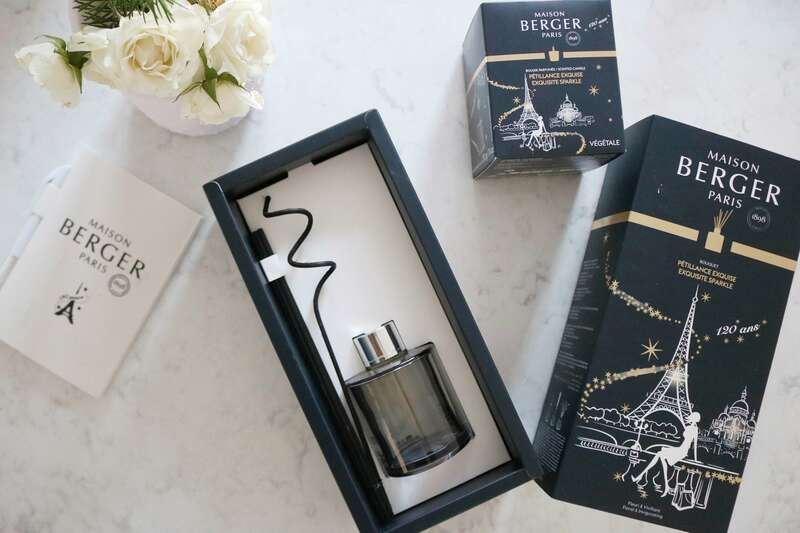 I love giving these as a gift because the sets are absolutely gorgeous, and both the Bouquet’s and Lampe’s serve as decor just as importantly as the scents they give off! 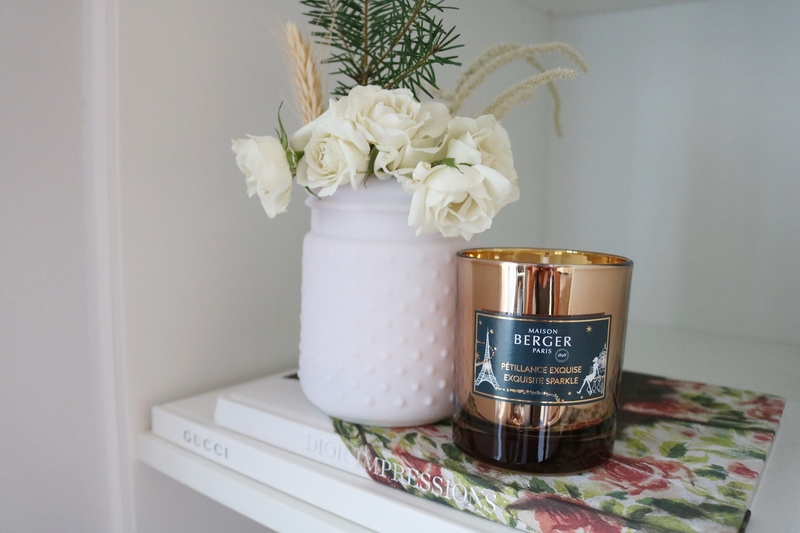 The Lampe Berger candles are so pretty, and smell amazing too! 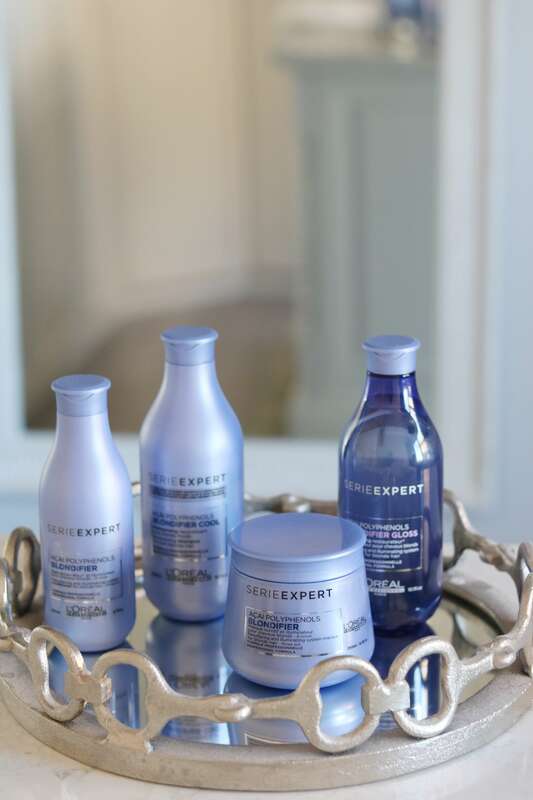 The Exquisite Sparkle collection smells sweet, and the scent is light enough that it isn’t overpowering. 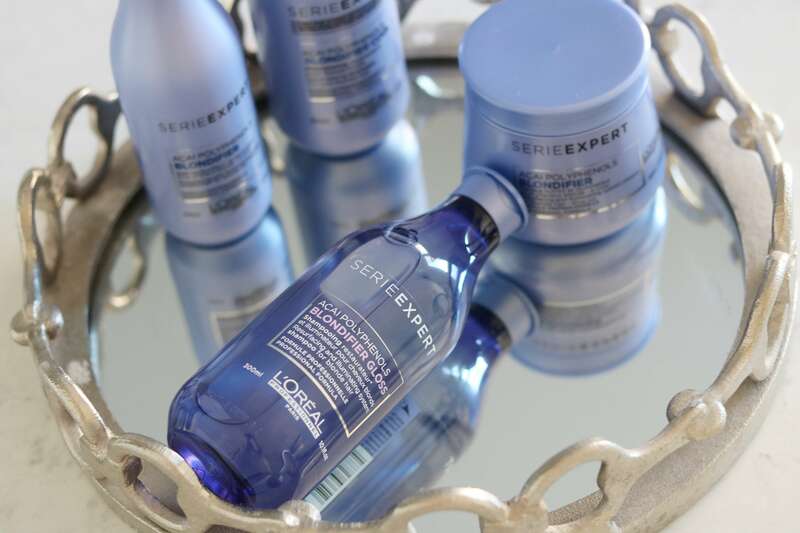 I’m currently using the L’Oreal Professionnel Serie Expert Blondifier hair care line, and my hair has never been happier! My hair feels so soft and shiny after using the shampoo and conditioner, and with the mask it is so soft I can hardly hold onto it. The scent of the line is pretty as well, and I love that it keeps my blonde from becoming brassy! The Amopé Pedicure Gift Set is one that I love giving out because I LOVE this product! It allows you to give yourself the perfect pedicure at home, and I love how quickly it can be used to give yourself smooth feet. This particular gift set includes the Amopé Electronic Foot File with Diamond Crystals™, extra coarse refill, and a beauty bag to carry it all in! 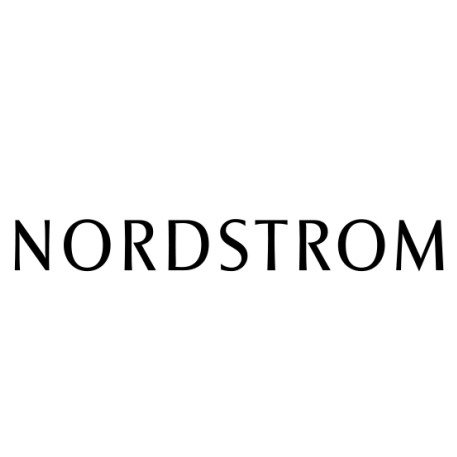 This is a product I’ve been using for years and can’t live without! The Gas Out Game is SO much fun! 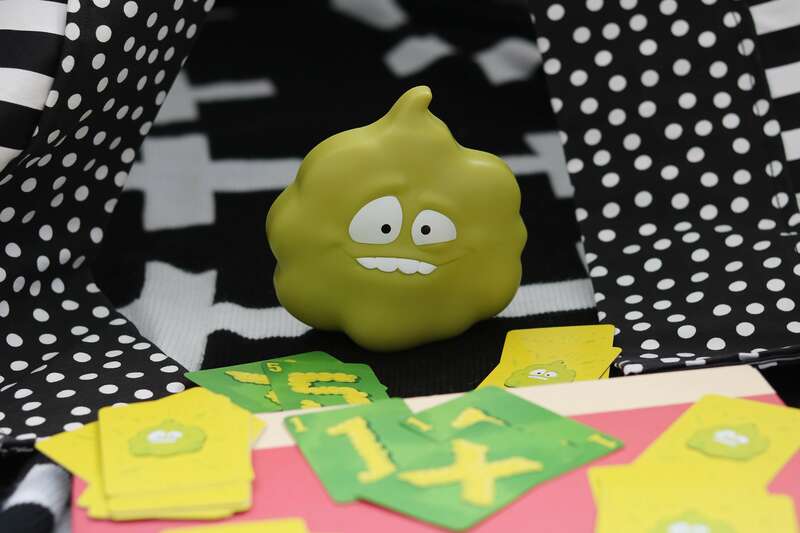 It’s a card game with a twist – Guster the Gas Cloud sputters out noises that effect the game, and it’s so much fun to play with kids! They can’t help but giggle the whole time! UNO is one of my son’s favourite games, and because he loves it so much we try hard to stop everything we are doing to play a game with him. For us, spending some time together playing this classic game is all about reconnecting with family. 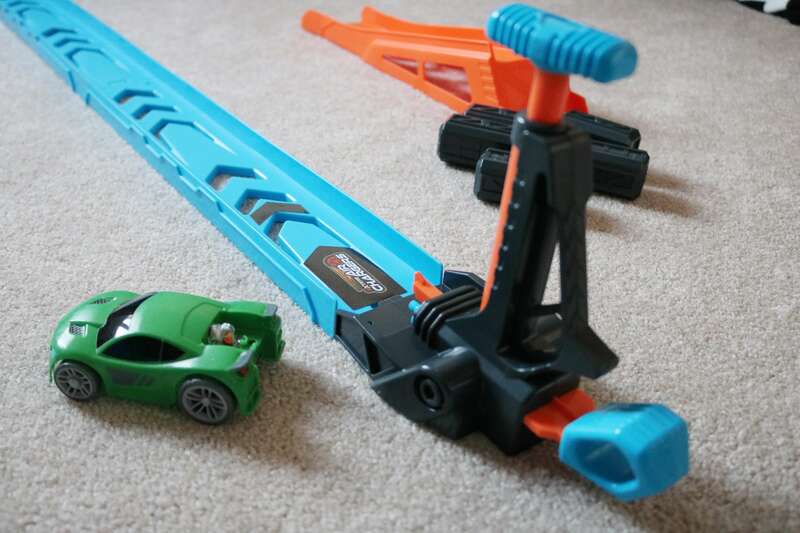 We can easily pack it to go with us on any trip we take, and we love how easy it is to set up and have a blast playing! Even just the name of it is fun – Kerplunk! This is a game I truly can’t win at. My son always beats me – well, actually everyone beats me at it! My son also always let’s out a squeal when all of the marbles drop – it’s really a kids dream come true to see everything crashing down! 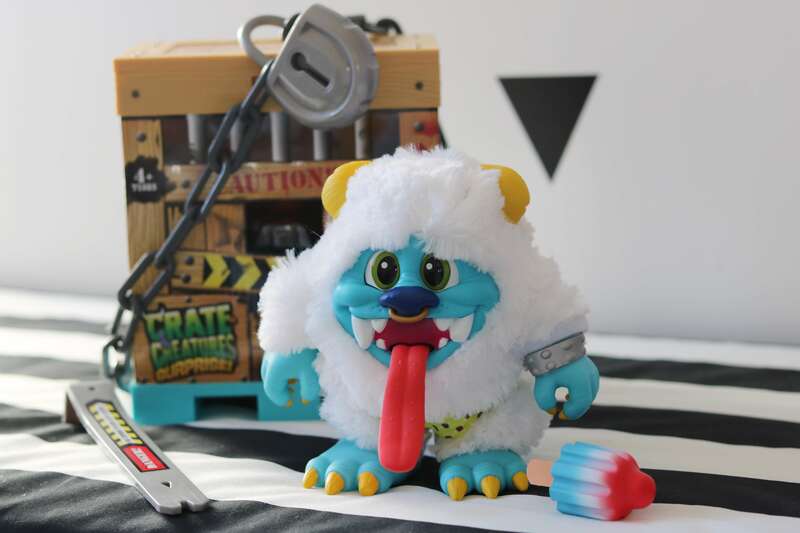 Crate Creatures are hilarious from the start! 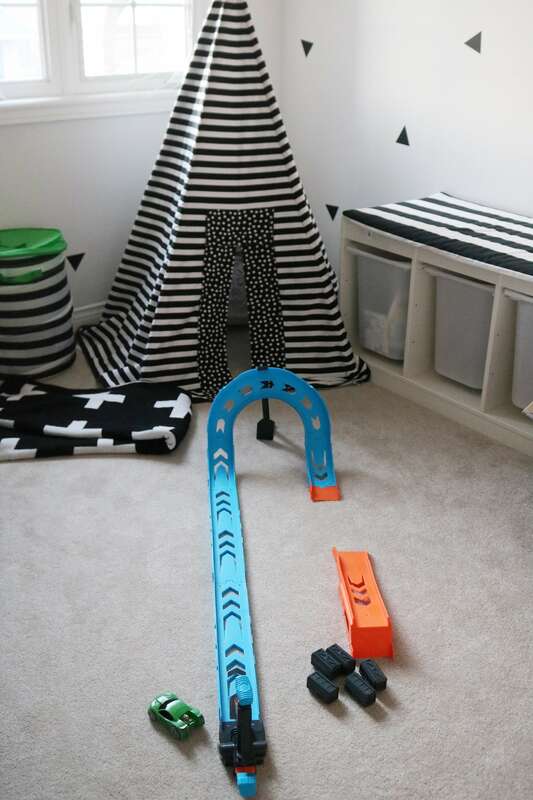 They are locked into their cages and the first thing your child needs to do is break them out, but before then you can interact with them so they make sounds! 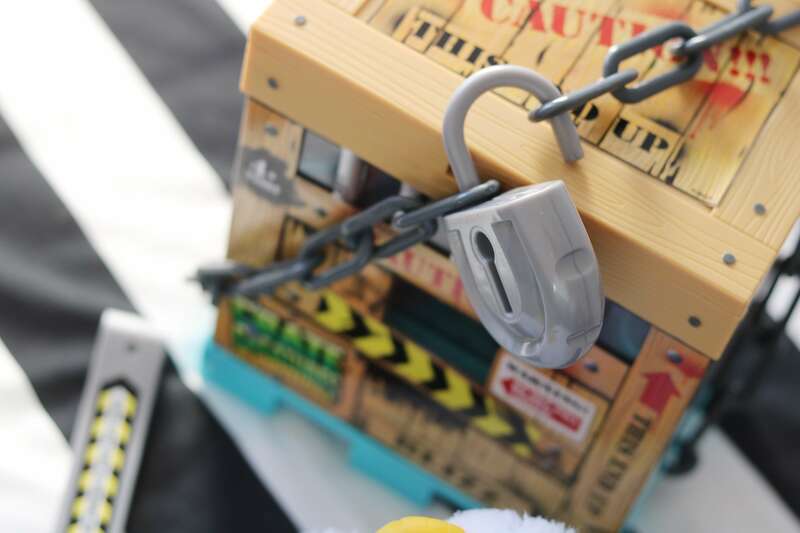 They are so fun because they have their own little crate that they can live in, and I love that you can lock them back up as well! 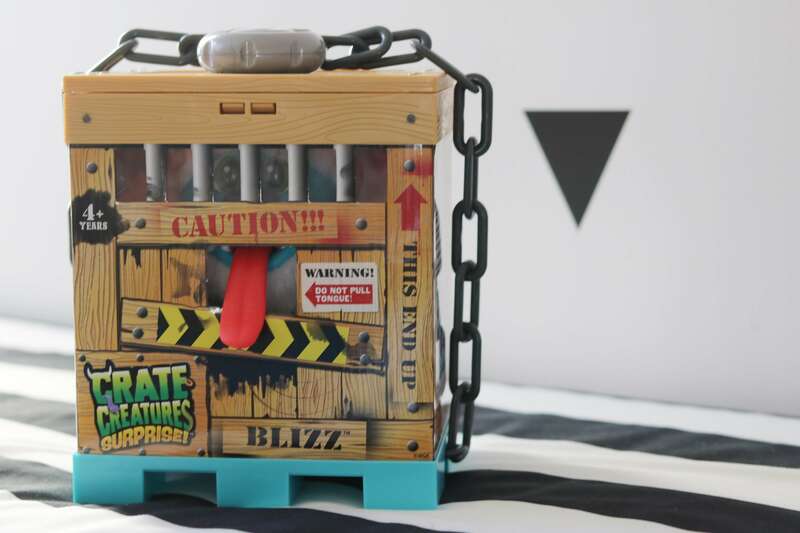 It definitely makes it easier to tell your kids to put their toys away – it’s actually fun to lock this little guy back into his crate! 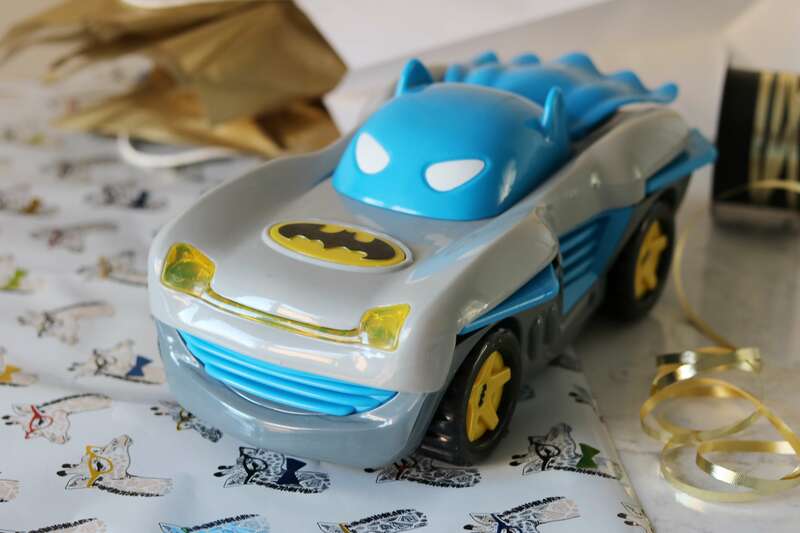 Herodrive Batman Racer is perfect for ages 3 and up because it’s perfect for smaller hands that want to race! By pushing the windshield forward you can make the wings pop out, and the best part is that by pushing on the logo you can make all kinds of different sounds! That way you can hear your child coming around the corner when they are racing! If they push the logo again the Batman Racer will race forward – it’s a neat trick I didn’t tell my son so it was a fun surprise he could figure out himself! 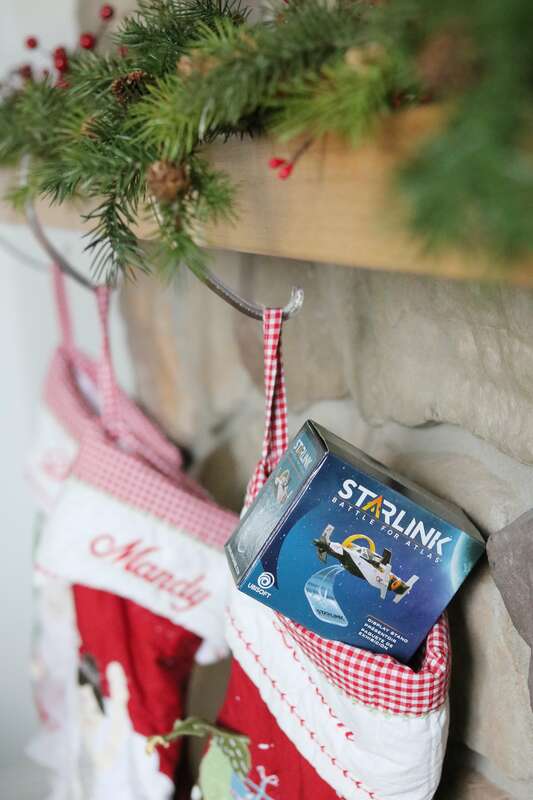 The Air Chargers Twisted Crashway is the perfect gift because it doesn’t require batteries, but it still includes cars, a race track, and some crazy fun stunts! The track can also be configured different ways so there is a loop, or you can just go for speed! 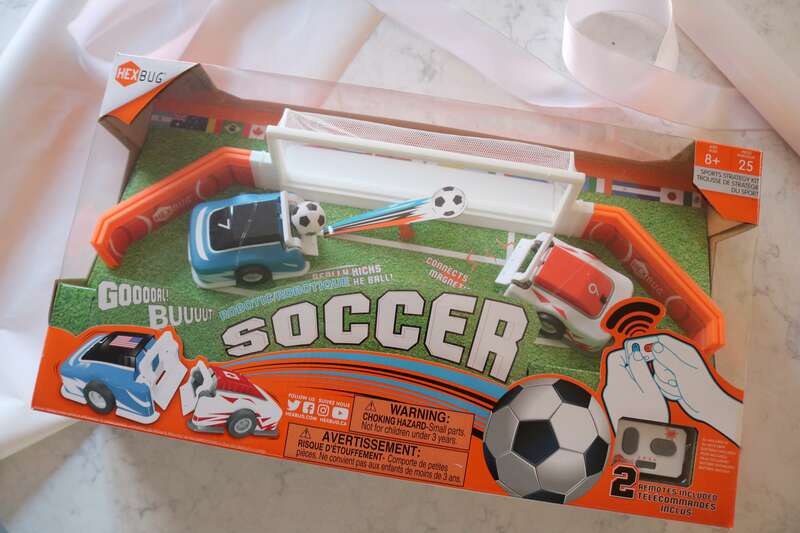 HEXBUG Robotic Soccer is perfect if you have a child who loves robots AND soccer like mine does! 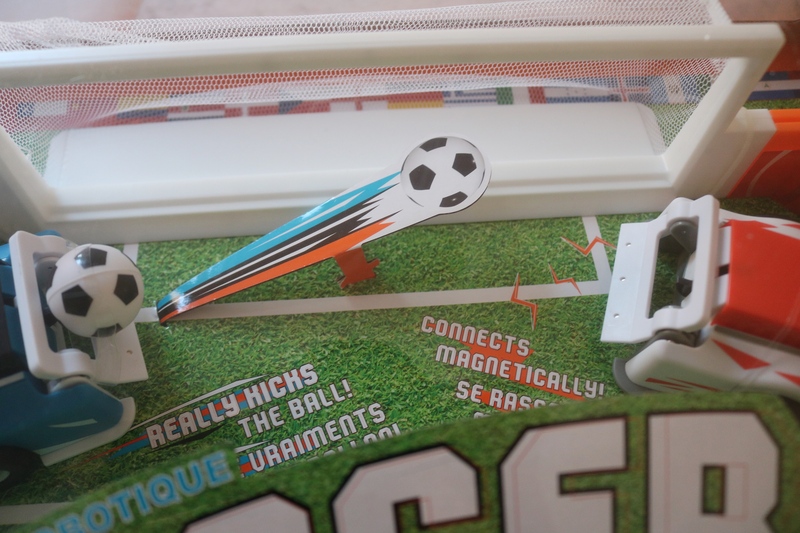 The soccer stadium holds two remote controlled Robotic Soccer Singles that can battle each other to win the game, and it’s just SO much fun to play! 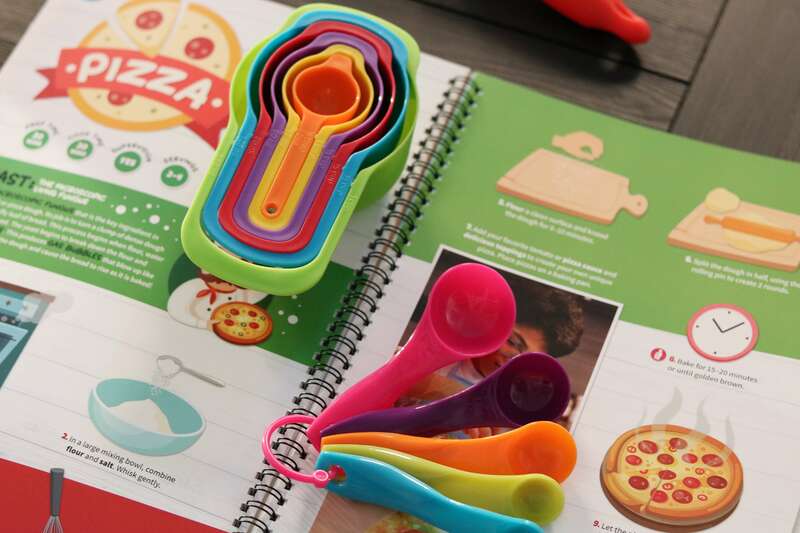 There are six different interchangeable tops, and I had as much fun playing this as my son did! 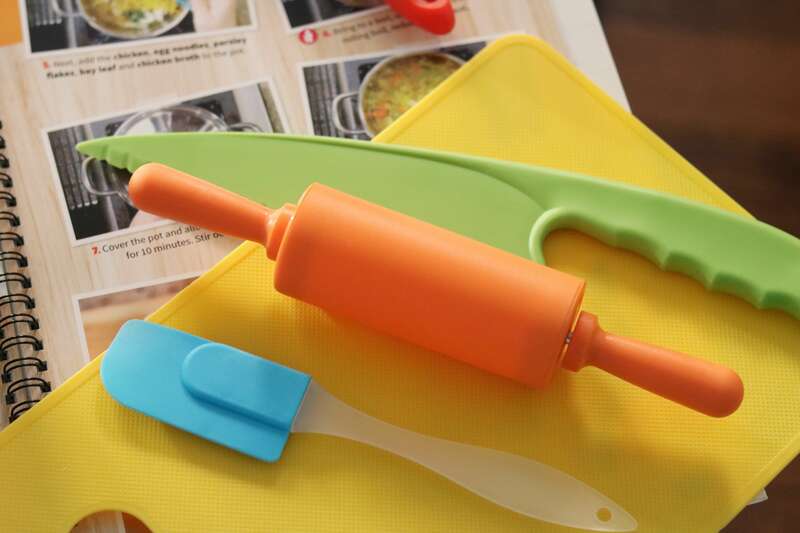 My son has been obsessed lately with baking and cooking, so this gift was perfect for him! 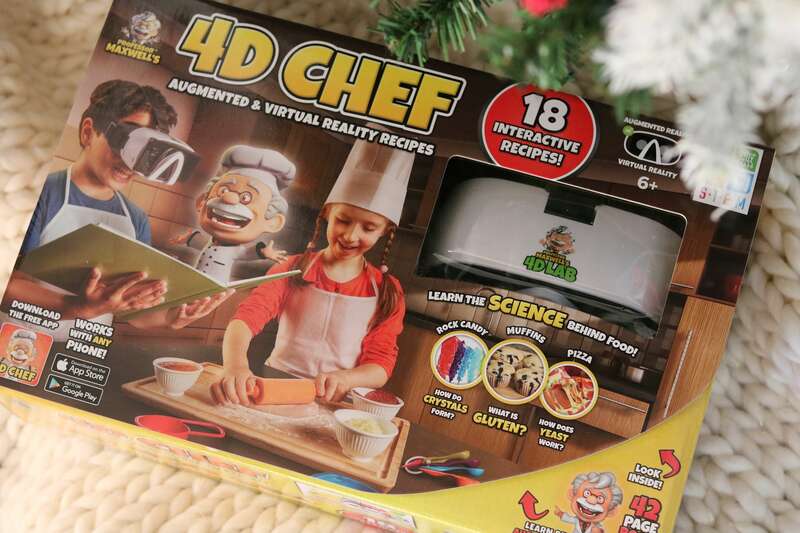 Professor Maxwell’s 4D Chef is one of the coolest toys I’ve seen. 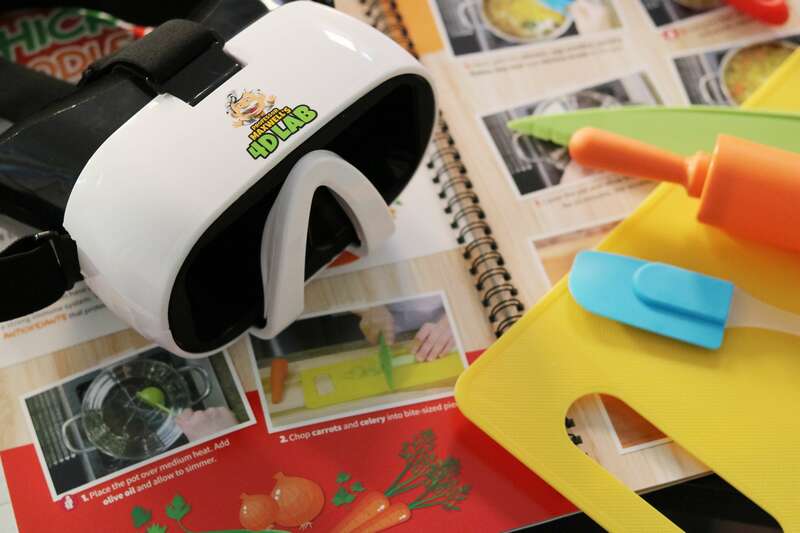 The recipe book contains step-by-step instructions that come alive in real-time video seen through goggles, and kids can go through each step with their play equipment. 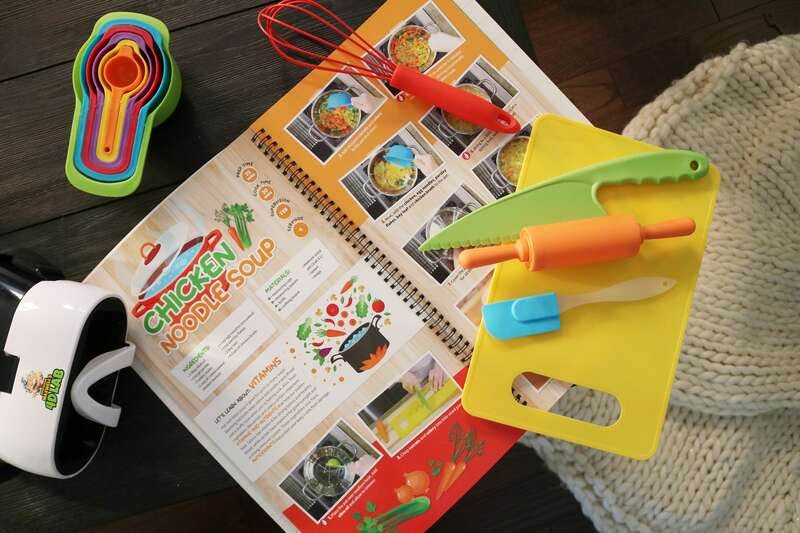 This set is so cool – it made me want to cook as well! 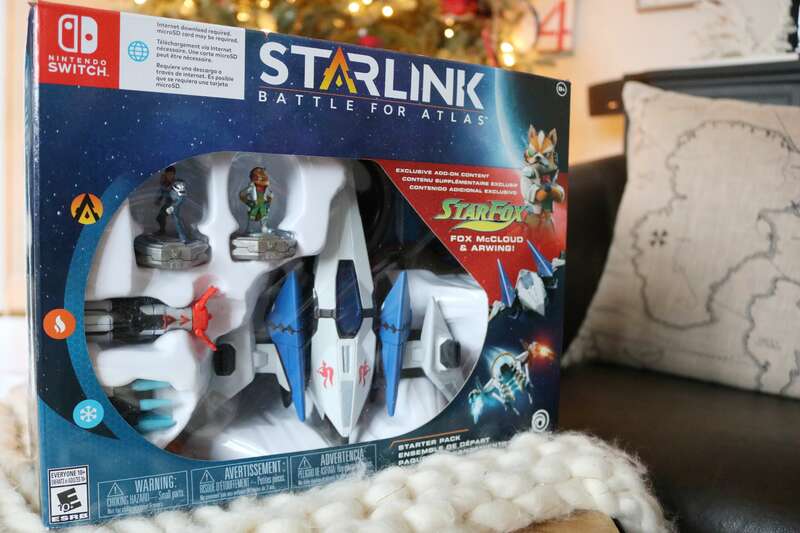 Starlink: Battle for Atlas is one of the coolest games to come out this year for Xbox, Playstation 4 and Nintendo Switch. It’s a family-friendly action-adventure game created by Ubisoft located here in Toronto! Players are on a mission to save the galaxy, but they first need to build their own spaceships. Once you create it in real-life, you can watch it come to life in the game! I’ve never seen anything like it – it’s a really cool and interactive way to play a game on your console. It’s such a neat idea to give someone the gift of these figure that they can use to create something unique that they can use in the game. 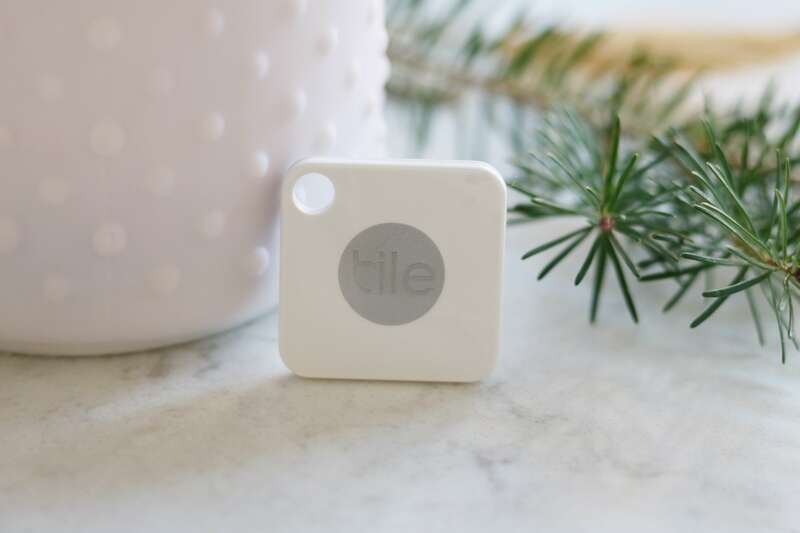 The Tile is the perfect little mate for those of us who tend to lose things. It’s light and tiny enough to attach to anything you might lose. 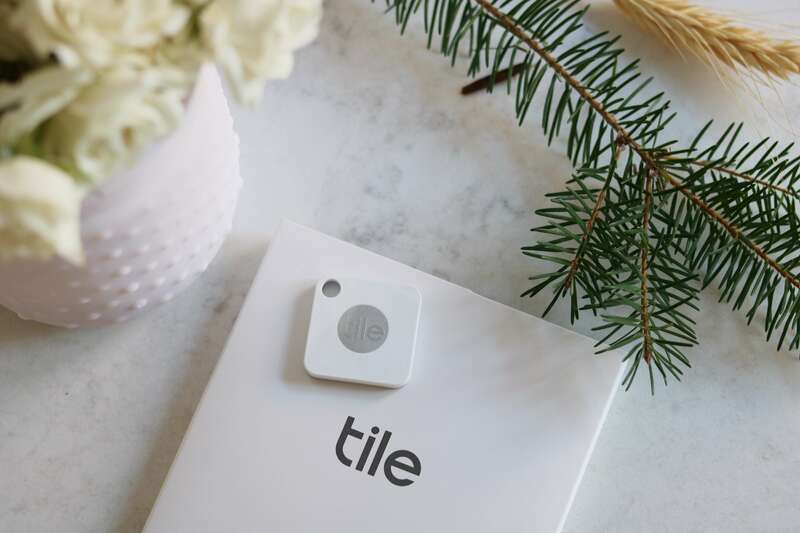 Using the Tile App on your phone you can locate anything the Tile is attached to, but what I think is really cool is that you can find your phone the opposite way! Touch your Tile twice to make your phone ring – even when it’s on silent – to locate it! This is such lifesaver for a girl like me who often loses her phone! Now it’s time for that AMAZING Giveaway I was talking about! I’m giving away all of the following products below from my Holiday Gift Guide to one lucky winner! You can enter the giveaway using the widget below! 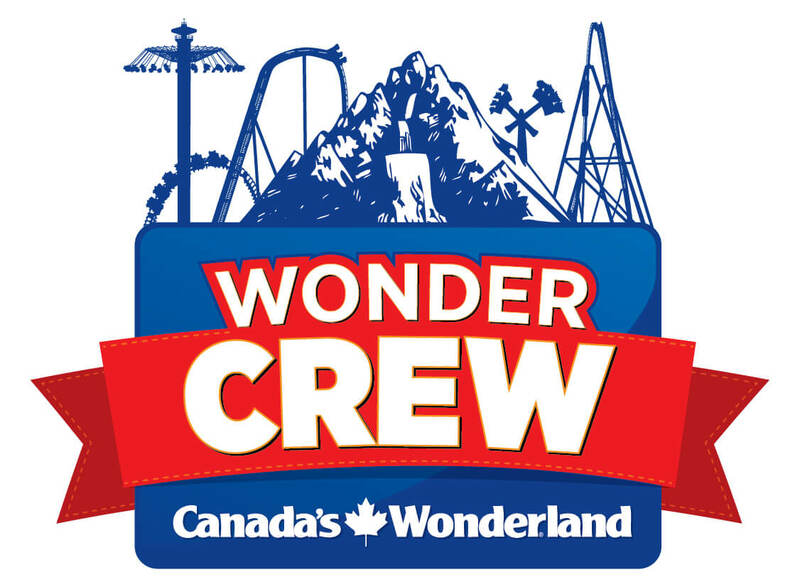 Contest is open to residents of Canada only. Good luck to everyone who enters! 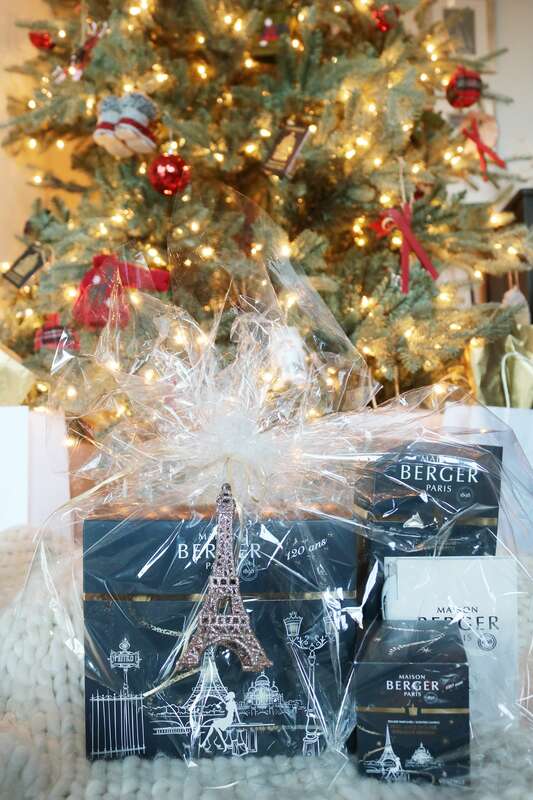 Next Post The Perks of Being an Avioner at the RBC Avion Holiday Boutique! 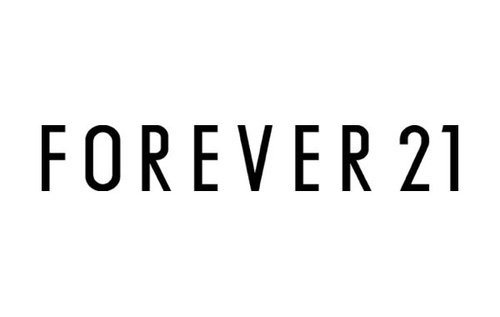 These are the most fabulous gift ideas!!! Thanks so much for the review on them and this AMAZING giveaway!! 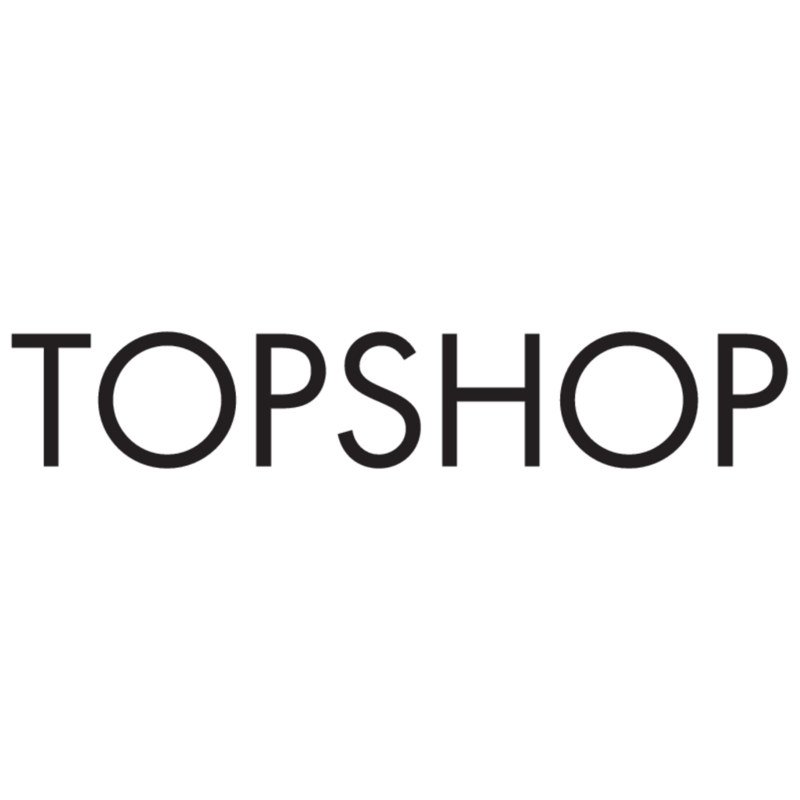 So many amazing gift ideas!! I love them all! Thank you for sharing! Merry Christmas! All of these gifts are wonderful. All these gifts look great. 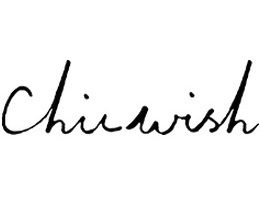 Thank you for the chance.